Miss B loves to cook and bake. She loves to make cookies especially. 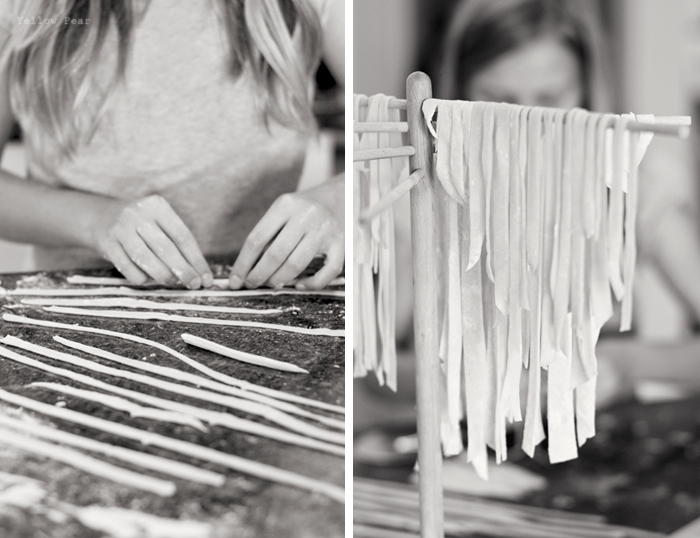 Most recently she tried her hand at noodle-making. She did a fabulous job. It's quite nice to have a helper in the kitchen to speed things up. And it's especially delightful because now I have someone to chat with. She hasn't, however, mastered the art of clean-as-you-go. She usually makes astronomical messes. But. We are working on that. And at least she is cooking and learning. 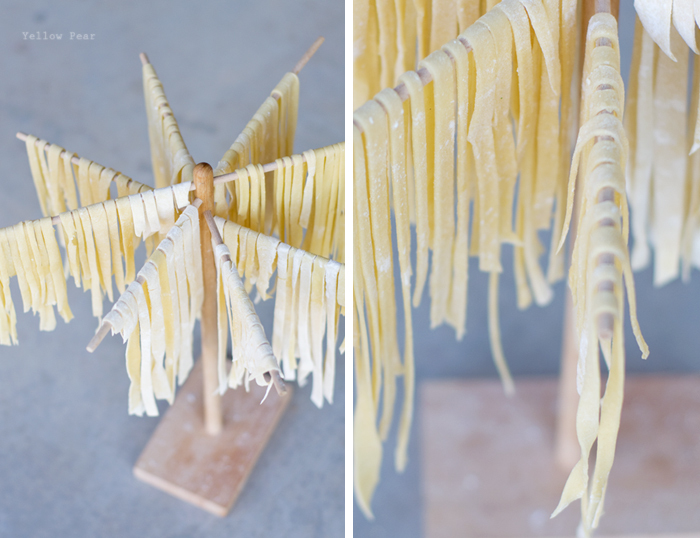 The noodles looked so pretty drying, I couldn't resist taking photos. And I love the pasta drying rack my sister gave me. It all comes apart, so it's easy to store and it holds so many noodles. I used to dry them on dish cloths spread all over the kitchen...but now, I pull out my handy dandy noodle drying rack, have Mr. C assemble it, and then I have oodles of noodle drying space. Fabulous. Those noodles look delicious! How fun to have a helper in the kitchen! And aren't moms the best? I wish you luck this next week and remember you have so many friends to call if you need anything, just let me know! Wow! Can I borrow your mom for a week, but with out having to go through the whole surgery and recovery part...pretty please? So glad you're starting to feel better. Wow! 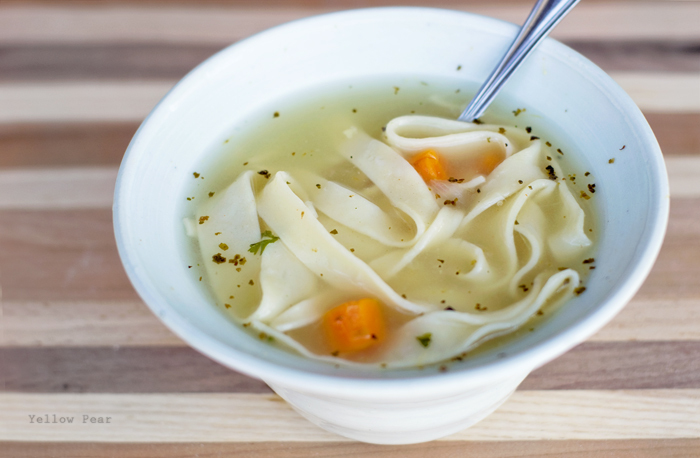 I love noodles since I can add many flavors on it, both on top of the noodle or in soup. I remember that my mother often brings me to a noodle shop to eat and she often imitates making the the dishes that we had at the restaurant when we got home. I knew that whenever we go out for lunch at the noodle shop that we will be having the similar dish at dinner. Sounds awesome! Even though pasta is a treat that you should eat sparingly, it can be part of a whole foods diet.